I am a Matcha tea fanatic. I started drinking green tea years ago because back then, I was obsessed with counting calories and I learned that a cup of green tea would burn 50 calories! Today, I drink Matcha, mostly because I love the richness of it, but also because it’s high in antioxidants, contains L-Theanine (which creates a calming effect) and is a great detoxifier (though you should be wary that too much detoxification is not a good thing either). Matcha is also great in a cocktail, but that’s another story! 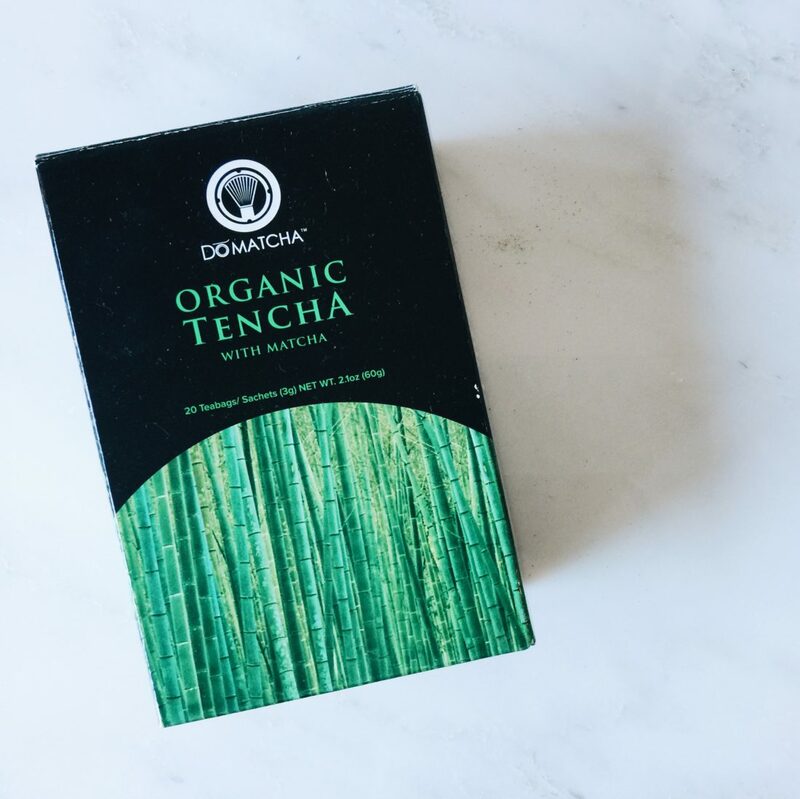 One of my favourite Matcha teas is DōMatcha’s Organic Tencha (“tencha” is the name of the tea leaves that are selected to become part of the very fine powder which is called Matcha). DōMatcha uses organic leaves; there are no chemicals from pesticides, herbicides or fungicides, or radiation; the tea is so smooth and rich; and it comes in tea bags meaning there are no leaves to clean up afterwards! Plus, in addition to all of the other health benefits, the Matcha from DōMatcha comes from Uji, Kyoto where Matcha originated and where the most premium quality Matcha is produced. When you buy Matcha, note that it is extremely prone to losing nutrients, color and freshness by being exposed to light or air, so proper storage and packaging is crucial to assure highest quality. One last thing I’ll say is to be wary of brands that use Matcha or “green tea” in their product names. A lot of these brands use hidden sugars or preservatives and are just trying to capitalize on a trend. The higher quality Matcha will be greener and more vibrant in color, sweeter in taste, fuller in flavour and greener in flavour. For more information or to locate a retailer, visit www.domatcha.com.